Reflexology - Joint Relax - Massage - is not all about the female gender, pampering, spas and perfumes. It is about Mens' Health too! Not only does the physical anatomy of both sexes differ greatly – the male genders thoughts, emotions and strengths, respond and act in a way only understood by the male species. 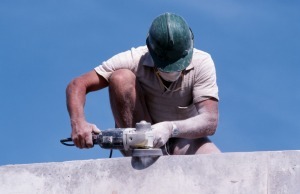 Mens mechanical body structure, bones, joints, muscles and tendons are often used in very strenuous jobs, often pushed to the limit, all day, every day. Feet work all the time and are the base of our body structure. Not only do they carry the body, torso, head and shoulders, they provide the support for lifting heavy loads, climbing ladders, stress of work, family and every day activities. Office/desk jobs are also very demanding as the body is in a cramped – bent posture – the poor feet are idle, they cry out for movement and exercise for a large part of the day. Joints and muscles become tight, restricted and lack good circulation. Feet get sore, tired and stressed, often as a result of being in shoes or working boots all day. Men tend to overlook and neglect their Health and Feet. They feel by admitting they are sore, tired, and have health issues they are giving in, so are inclined to shrug their shoulders and expect the pain and problems to go away. Often the problem is more deeper than the male thinks. Over our life time, man under gos many changes physically, emotionally and direction of life. Under 30s’ - Lead a fast pace of life, with work, socializing, stress, often lack of quality exercise, fast food nutrition, busy keeping up with peers, often unsure just where future lies. 30 – 54 Age Group - This is a time in life where most men have experienced ups and downs and now know where their future lies. Life becomes more settled, structured and simple, plans and goals are in place, men are aiming to achieve their ambitions. 55 Age Plus - Goals and direction in life changes again. Men make plans for a long healthy retirement - often it is a time in life when men can experience new adventures, projects, dreams , that have been lying dormant in minds, often due to work, family commitments and lack of funds. These many changes over a life span have a great impact on the individual wellbeing. Mens' Health issues can be very different between one age group to the other. The important factor relating to all Men is to find a consistency and balance in life of - Work Exercise - Relaxation - Healthy Diet and maintain a Healthy Body Weight. JR Reflexology - Joint Relaxation - Massage relaxes the joints and muscles of the lower extremities by releasing tension through the feet, the body as a whole is energized and vitalized. It is important our muscles and joints are kept well maintained – mobile and lubricated to enable us to move freely - giving us a healthier and better grip on life. Jonas, being a male has a particular interest in Mens' Health, he has a lot of success in this field and relates well to the average hard working guy. So Guys ! We need to look after our bodies, its the only one we’ve got and our body and health are our most valuable asset in Life. JR REFLEXOLOGY is for MEN too! Try it for yourself - Book a session today.